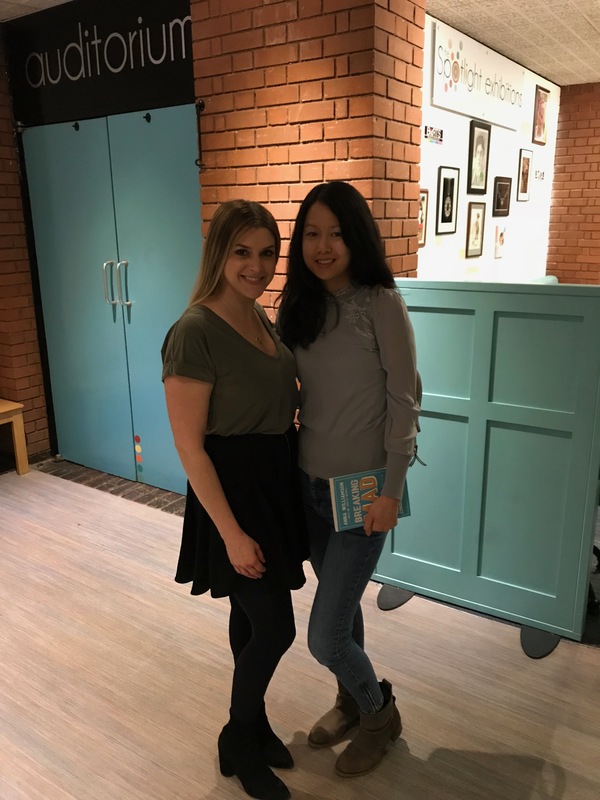 Last night I attended ‘Breaking Mad with Anna Williamson: The Insider’s Guide to Conquering Anxiety’ at The Spotlight Theatre in Hoddesdon. Anna is a well-known TV presenter and broadcaster, and is also a local Hertfordshire mum. She has been one of the trailblazers in campaigning for mental health for the past 10 years. Thankfully, now, there are more conversations taking place about mental health. While it is progress, we still have a way to go yet until the stigma around mental health is erased. As well as a successful TV career, Anna is also a qualified therapist, life coach and author. In her first book, ‘Breaking Mad: The Insider’s Guide to Conquering Anxiety’, Anna bravely shares her own story on mental health and how she came to be diagnosed, eventually, with general anxiety disorder. In conjunction with Dr Reeta Newell, Anna explains different types of anxiety, symptoms and triggers. She also shares tools and techniques to help you manage your own anxiety, to prevent you from tipping over the edge. The aim of last night’s event was really to bring the book to life, and it worked so well. It was just Anna on stage. Although the setting is a theatre, it felt much more intimate, like we were all sat in a living room together having a cup of tea and a chat. I have a lot of respect for Anna, because I can only imagine how hard it is to be up on stage and to share such a personal story and journey with others. Anna did admit that she felt nervous beforehand, not because of having an audience (she’s used to this) but because of the subject matter. However, she did brilliantly. Anna has a really natural way about her, which is warm and welcoming. You feel instantly comfortable in her presence. All qualities of a great therapist and life coach, I guess! The event almost felt like an informal group therapy session. Anna even talked us through some tips and techniques that we can use to try and manage our own anxiety, in particular common symptoms such as panic attacks. Although I’m lucky not to suffer from panic attacks, I do get anxiety, which usually presents itself as a tight, crampy feeling in my stomach. Next time that happens, I will certainly try out some of the techniques I learned (these are all detailed in the book). Anxiety affects us all really, in one way or another, but for some people it is much more pronounced and more complex to deal with. But it is possible to manage anxiety. The important thing is to acknowledge your feelings, be informed about what anxiety actually is and how it affects you, and ask for help when you need it. I learnt so many things. My biggest takeaway is that in order to manage your own anxiety, the key is to really understand who you are. What are your values and beliefs? What do you like? And more importantly, what don’t you like? This helps you to understand what your anxiety triggers might be, so that you can work on reducing them. Anna said that understanding who she is, as a person, has played a big part in her own recovery. She is now able to move forward in her own life, feeling more confident and in control. The production team are hoping to take this event on tour. I really hope that they do, as I think it will help so many more people. If you’d like to read ‘Breaking Mad’, you can order it here. Of course, being a parent brings in a whole new set of anxieties that didn’t exist before. Next week on Thursday 8th March, Anna launches her brand new book, ‘Breaking Mum and Dad: The Insider’s Guide to Parenting Anxiety’. More on that very soon!